Get a free consultation with Find Health in Ecuador Dental Clinic. 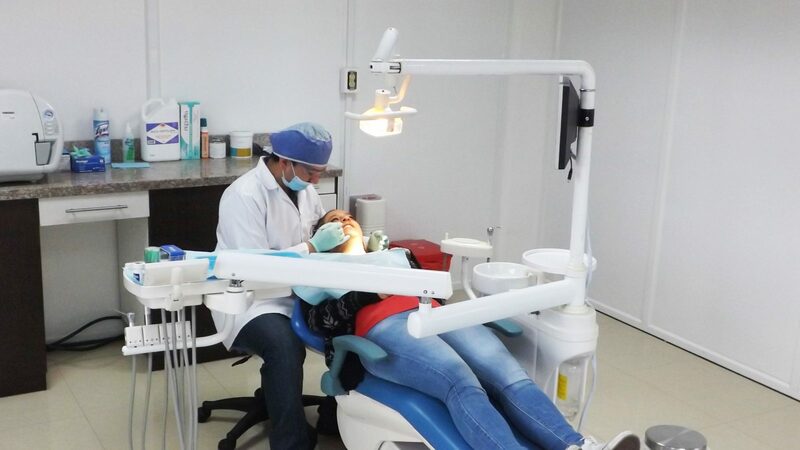 The “Find Health in Ecuador Dental Clinic” is internationally renowned for its superior Dental Implant services as well as comprehensive Dental Work (i.e. Crowns and Bridges), provided care of Dr. Andres Pacheco as Head Dentist & Implantologist (known on Google as “Dr. No Pain”). We elected to specialize in Dental Implants because we are able to do them at a fraction of the cost in comparison to Dental Clinics in the US or Canada, while maintaining the same high level of American standards and dental materials that you’d otherwise receive down the street from your home in the US. 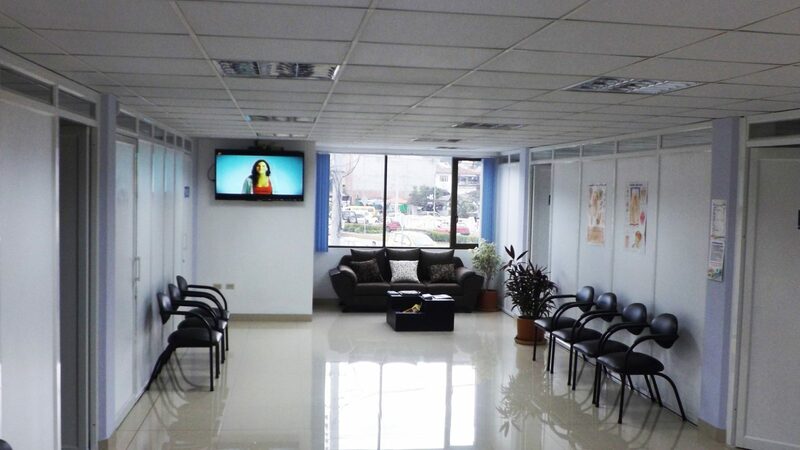 The Find Health in Ecuador Dental Clinic was first founded in 2012, when it originally began as a Dental & Medical Tourism facilitation business, which then blossomed into a primary and highly well known Dental Clinic. US and Canadian Expats who now live in Cuenca or who become Dental Tourists here either because they know someone who came to Ecuador or they learned of Ecuador’s low cost and high quality Dental/Medical Care. How do they hear about your clinic? Word of mouth from our other satisfied Dental and Medical clients, plus we appear on a number of other websites and in certain international magazines as well. 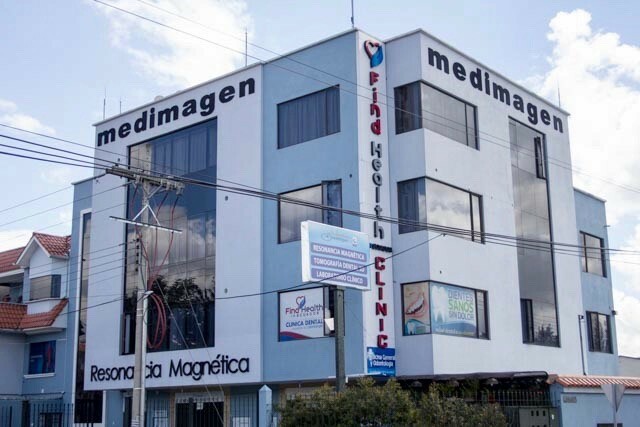 We maintain the utmost of dental and medical ethics and integrity, only recommending to patients what dental work they need by either seeing their x-rays before their dental trip or here in Cuenca if they choose to have their x-rays taken in Ecuador. We use a variety of implant technology from German, Swiss, Israeli and Brazilian manufacturers. All technology is standard as is used in the United States and Canada, and is fully compatible with all Dental treatment plans. We will ask each patient for copies of any preexisting exam reports and x-rays such as panoramic x-rays and/or tomography, as well as any blood tests if necessary (of course specifically depending on each patient’s current health and medical history status). We typically meet with a patient 1-2 times when they first arrive to our Clinic, so that we can review and go over the patient’s x-rays, and of course naturally we then set the patient’s surgical appointment for during that SAME TRIP with the patient to do their Dental Implant(s) so it is very convenient for the patient’s schedule. One Dental Implant usually takes 1 hour or less in our surgical room. The cost of a Dental Implant is $1000, plus naturally the cost of the Crown itself, which typically the Crown ranges in price from $350 – $600, depending on the type of material you select for it (i.e. Ceramic, Porcelain or Zirconia). We do not offer financing, but we do accept payment via credit card, US check as well as cash. How many trips to Ecuador are required and how many days per trip are required to get one or two implants? Generally, you need to be here in Ecuador for 1 to 2 weeks, and then return to Ecuador in 3-6 months for your prosthesis. If there are perfect conditions for an implant, we may be able to do the prosthesis right away on your very first trip, but this is not the typical. It really depends on your own personal situation as well as your bone structure and your overall health, etc. It takes several months for the implant to become completely set in your bone, but in some cases it can take just several weeks. Yes, we do offer a 100% guarantee. We will replace the implant for zero additional cost if the patient were to have a faulty dental implant. The chances of this happening are very low and only happen in less than 4% of dental implant patients. We will do everything possible to find a solution to the problem while the patient is in their home country and will ask for x-rays if any problem were to somehow occur. Apart from the airfare, food and hotel, which are of each person’s own choice, there really are no other costs other than any general tourism that the person may or may not want to do (such as for example, a visit to the Galapagos Islands of Ecuador). They can do a homestay with an English speaking Expat if they wish, but most of our patients stay at a very economic hotel in downtown Cuenca that is quite nice. We usually make reservations for our patients or suggest a hotel in their specified price range. It it safe in Ecuador? Yes, very safe. Cuenca is much safer than most U.S. cities of the same size (Cuenca is a city of around 500,000 people – similar in size to say, Sarasota, Florida). No, they do not, as we are a fully bilingual Dental Clinic and we provide all of our patients with a FREE cell phone while here in Cuenca to communicate with us day or night, always in perfect English of course. There are fabulous museums in Cuenca, European-like Cathedrals, great hiking in the Cajas National Park on the outskirts of Cuenca, North American style restaurants, etc. Cuenca is very scenic and has 4 lovely rivers running through it. Cuenca is also known for it’s inexpensive and highly therapeutic volcanic spas, such as “Novaqua Spa” in the Banos district of Cuenca. The Galapagos Islands and the rest of Ecuador are also only a couple hours away by car or short plane ride as well, because Ecuador is a small country with most everything close together, including even its illustrious Galapagos Islands. What is the best time of year to travel to Ecuador? Anytime of the year is quite good, due to its location near the Equator. Cuenca’s average high temperature is 69 degrees Fahrenheit year round with little to no change of seasons. What are the best places to eat in your area? Where can a patient get authentic Ecuadorian cuisine? It seems that every new business opening up in town is a new restaurant or café (mostly American or European style at that). There is no shortage of good restaurants and Ecuadorian food or even American food as there are now over 10,000+ Americans who live here and many Canadians and Europeans living here too now. Have a question or inquiry? Click the green button to get in touch with Find Health in Ecuador Dental Clinic. I plan on moving to Equador next year. I have no teeth at all. I was going to get false teeth made here in Houston but thought I would check on prices there first. Can you estimate the cost of dentures there? Hi John, sorry for the late response. I am not being notified about these comments. Per your request of dentures! We use the same quality as in the U.S.A, but the cost is very low. You’re look at between $200 and $500 for a full set of dentures. Please email me your x-rays to us and we will get back to you in a couple days with a free dental treatment plan. Thanks for contacting us through the Dental Implant Cost Guide. My name is Nicholas Barringer. 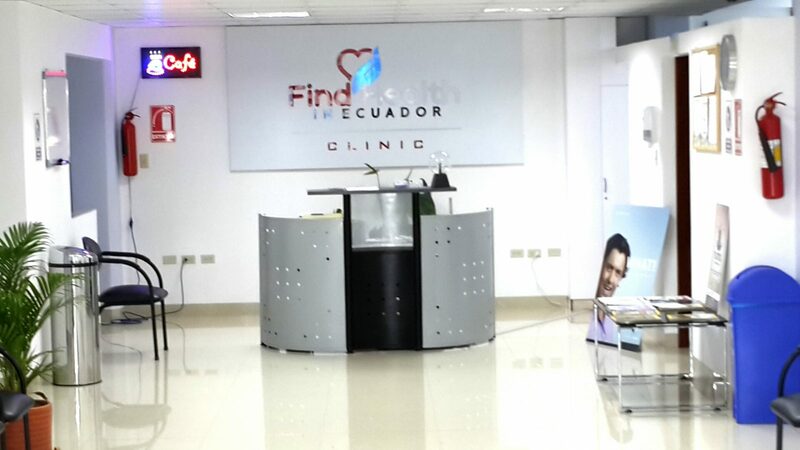 I am the administrator and operations manager of the Find Health in Ecuador Clinic. In order for us to answer your questions, you will need to email us your dental x-rays to my email, so we can analyze what dental work you will actually need. We also need for you to tell us the brand of your implants, but not to worry most implants are UNIVERSAL. Several dental tourists have come to our dental clinic this month and have already bought their plane tickets to come next month for dental implants, so you are not alone on this endeavor. Have you been to Cuenca before? Our master dentist, Dr. Andres Pacheco and highly reputable dental specialists do all types of crowns ranging from pure porcelain, metal, zirconium, etc. Typically the type of crown you use is both based on esthetics, strength and longevity due to the makeup of your mouth and bite. Roughly, you would need to be here in Ecuador 1 to 2 weeks and return in 3-6 months for your prosthesis. If there are perfect conditions for an implant the implantologist and our dentist may be able to do the prosthesis (crown) right away, but this is rare and in some occasions we would even be able to send the crown and hardware with you to be installed in the U.S. It really depends on your situation and bone structure, x-rays, physical examination as well as your overall health, etc. The MOST IMPORTANT step to take for dental tourism is to send us your dental x-rays such as a panoramic x-ray or tomography to my email in digital format to maintain the highest of quality to us, so we can draw up a full treatment plan laying out all the dental work you will need to get done, pricing details and estimated time to be in Ecuador. Please let me know ​a good time ​and day to call you so we can further discuss your dental treatment. Also, in the meantime, please let us know if you have any other questions for us. Hi Philip! My pleasure to make your acquaintance. Please send me your x-ray(s) if you have any and we can get back to you via email with a detailed treatment plan and all of your dental treatment options. Yes to your question. You will have temporary teeth, they look like real teeth too, so that is nothing to worry about. You will have to come back in 3-6 months for the final crown and rehabilitation work or you could always have it done in your hometown. Are you interested in having your work done with us and/or scheduling your first of many appointments for those dates? Do you have any other questions for me at this time? 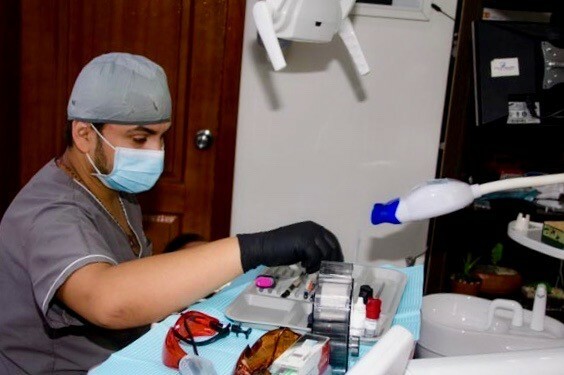 Regarding our reputation, we probably have one of the best among the Expats and Ecuadorians in CUenca as we offer only the highest of quality and have unbeatable prices compared to any other dental clinic in Cuenca. Look forward to serving you. I am planning to visit Ecuador (I haven’t been there for 30 years!). I need a massive amount of work to be completed. I need bone grafts, implants to sustain bridges, other work. What happens while the implants are setting? Am I given temporary teeth of some kind or am I going to be completely toothless? I plan to be in Cuenca and the surrounding area for approximately two months—March 8th – May 6th. Can you please answer my questions?